All-American performance and accuracy for target shooting and plinking! With clean-burning propellents, premium CCI primers and protected-base FMJ bullets for clean shooting. Boxer-primed, reloadable, premium brass cased. Backed by ISO-certified quality systems. 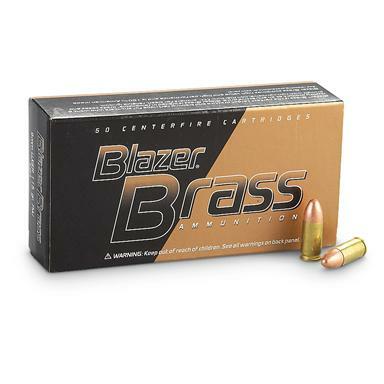 CCI Blazer Brass Centerfire, 9mm, FMJ-RN, 115 Grain, 50 Rounds is rated 4.8 out of 5 by 183. Rated 4 out of 5 by Mike from Nice ammo Shot well out of my G2c, will definetly use again. Rated 5 out of 5 by 1234go from great Price I use these in 9mm AR shot and function great. Rated 5 out of 5 by JSL61 from Great deal Shot them in my M&P 9 with no issues. Rated 5 out of 5 by AZBigLou78 from Excellent Ammo! Excellent ammo! I have fired several hundred rounds of this through my Glock 26 and Glock 19 as well as my Kriss Vector. No FTF & No FTE! 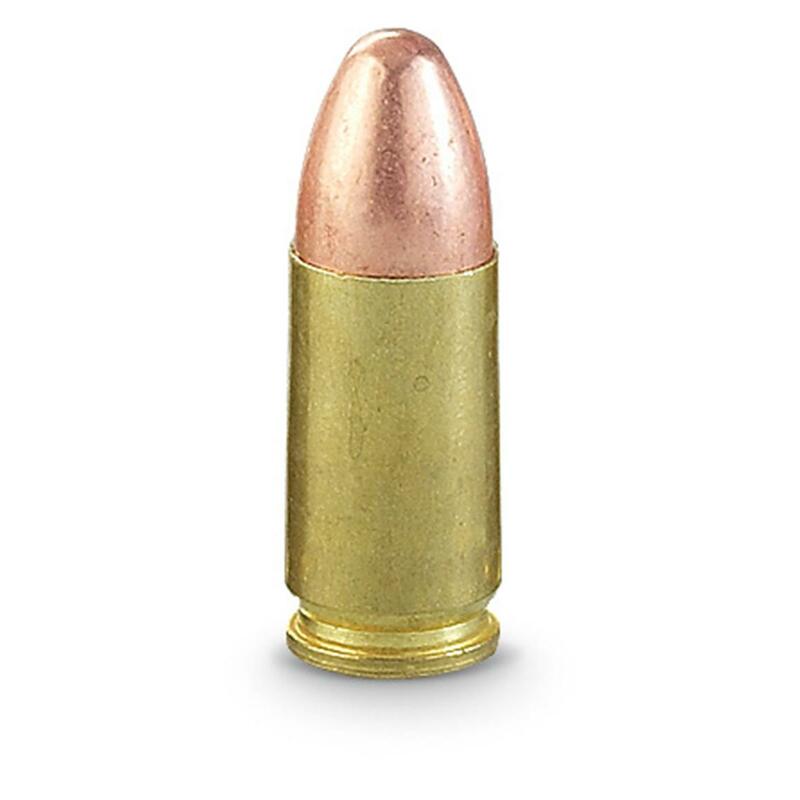 Rated 5 out of 5 by talon from Great ammo Very good ammo for plinking at a good price. Rated 5 out of 5 by Lamont from Priced right I prefer Blazer Brass over aluminum case ammo because I reload. I used this ammoon my AR500 steel targets and it functions flawlessly in my VP9 law enforcementpistol. Rated 5 out of 5 by Walt H from Great price!! Haven't shot any yet but I'm sure it will work great, fast shipping! Rated 5 out of 5 by Bob 66 from Good Ammo, Great Price Recently purchase 9MM Blazer Ammo on sale. Fired 150 rounds in Tanfoglio and S&W SD9VE without a single problem. In fact I have never had a problem with Blazer Brass in any caliber. Top performing defense and hunting Ammo.